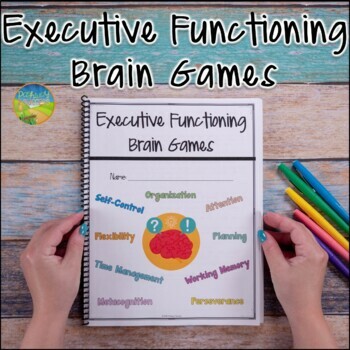 Practice executive functioning skills and processing speed with these brain games activities! 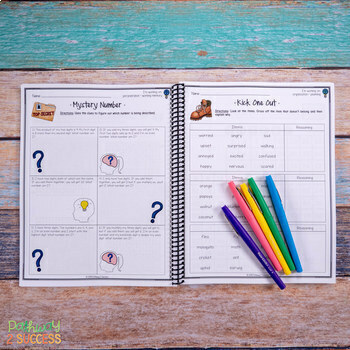 Every game or activity page targets a unique set of executive functioning skills to help kids and young adults improve the skills they need. Because the activities are set up in a fun way, kids can just work through the workbook at their own individual pace. This is ideal for early finishers, extra practice during a resource room, or during a study skills group. 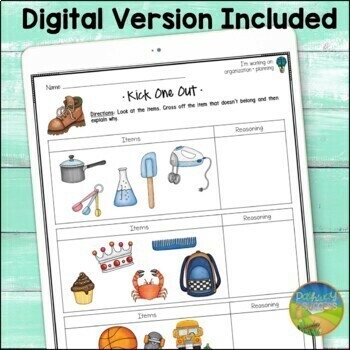 It includes a total of over 150 pages with a variety of brain games for learners. This workbook is designed to print and go. You can choose to print out just a day or week’s worth of activities a time just to get your students started. Another option is printing the entire packet all together and bind it together or put in a notebook for your learners. Start by reviewing the student page “What are Executive Functioning Skills?” Then, have students go through the brain games at their own individual pace! This resource includes two separate files organized in different ways. The first includes the games in order to provide practice of the same skills over and over. The second includes all the games mixed in and blended together. You can choose which setup is best for your learners!